Chequered Flag International is pleased to offer this 1984 Porsche in Kiln Red with Grey Beige interior. 52,690 miles with Clean Carfax. Factory sport seats, sunroof delete. Perfect body with incredible largely original paint throughout. Fantastic interior, no dash cracks, soft un re-dyed leather, great carpets, door panels and headliner. Rear cargo cover is there. Tool kit in the storage compartment. Mechanically absolutely superb and a delight to drive. Comes with its original books, including maintenance book with option code sticker, with 19 service entries logged, tools, four sets of keys, plus original window sticker, etc. These are sophisticated cars and you don't want to restore one, a rough one will never be good, but a really good one is a delight to own and drive. This is a really good one! Inspections encouraged. All sales AS-IS. Sales tax and license fees due if delivered in California. 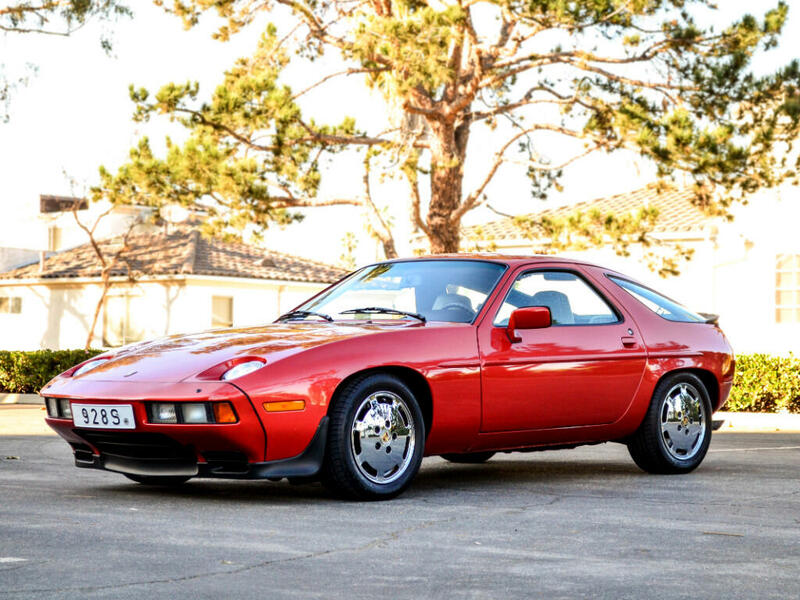 Message: Thought you might be interested in this 1984 Porsche 928.